Voluptuous reception desk by Karim Rashid. 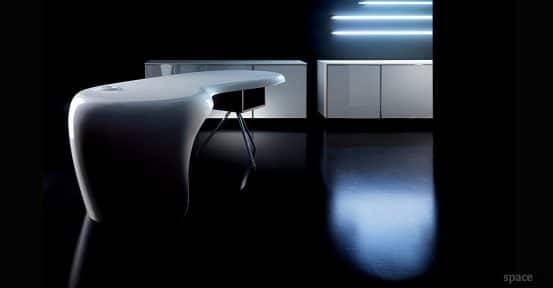 Unique styling constructed from high density polyurethane mould available in a range of glossy or matt colours. 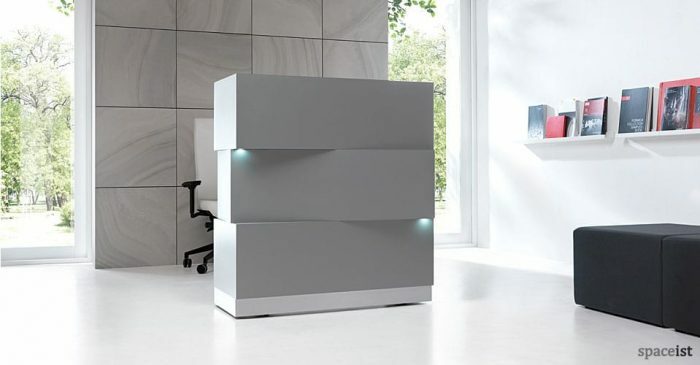 An under desk storage element sits on top of a steel tripod frame and is finished in a choice of laminate colour and wood finishes. 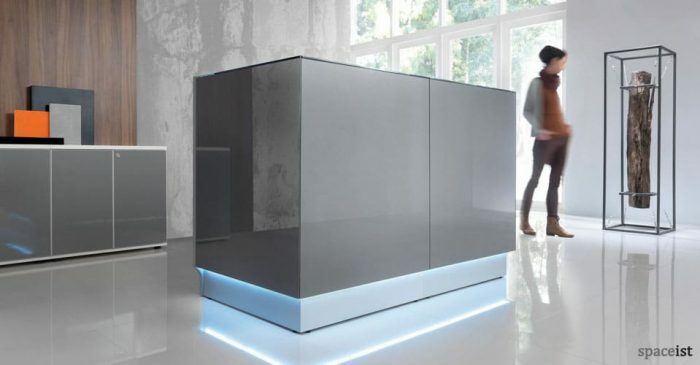 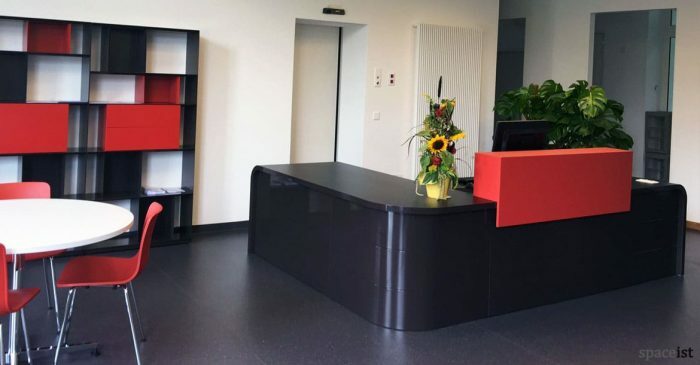 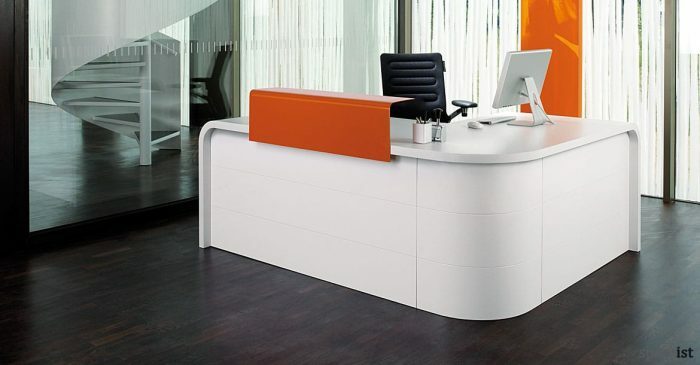 The curved body of the reception front provides screening and the desk top is supplied with an opening for cables. 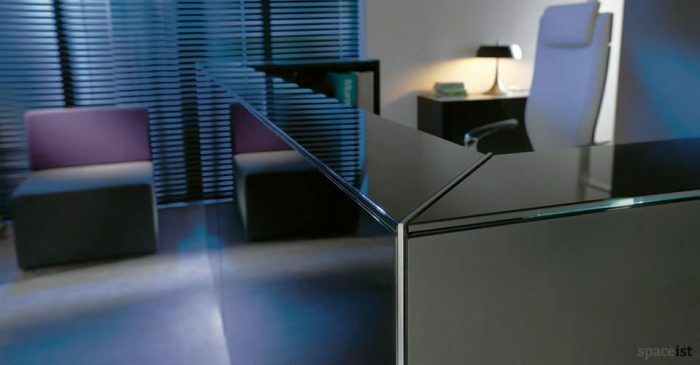 It is possible to personalise the desk face with company logo or other graphic upon request. 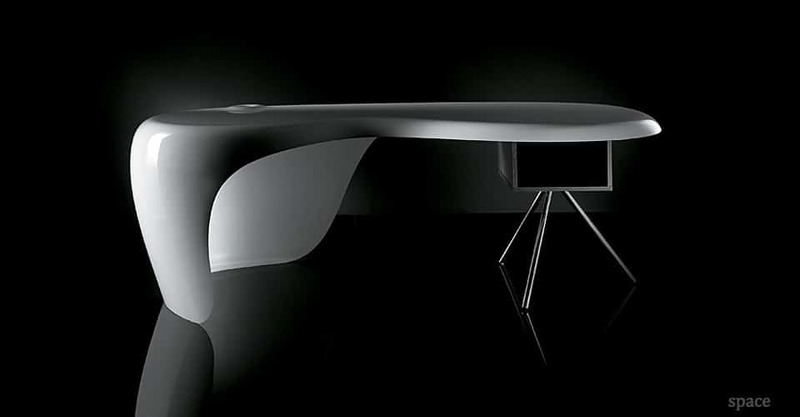 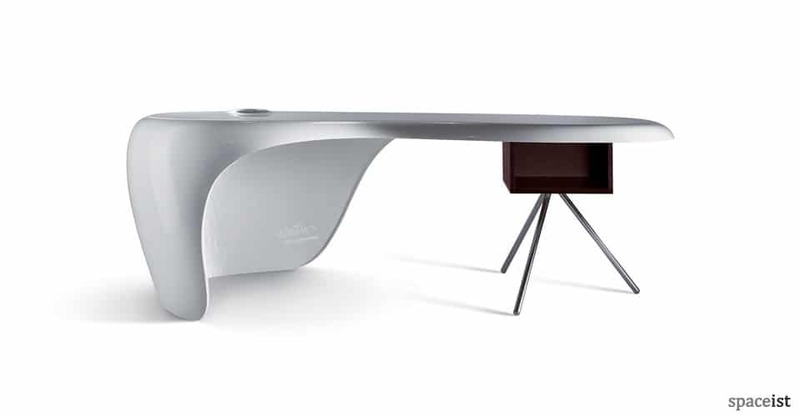 The continuous curves of the Uno desk and the unique sculptural body make it an iconic and high impact piece of contemporary reception furniture. 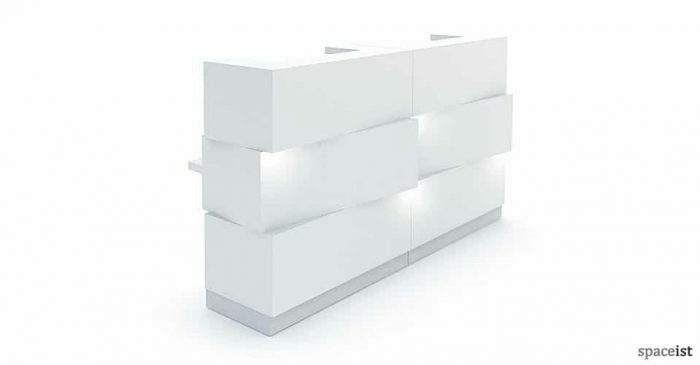 Matching cabinets and under desk storage are available.